In a world that suddenly seems to be heading in the wrong direction, it's nice to see justice still prevails sometimes. A transgender student who identifies as male should be able to use the boys’ bathroom at his Wisconsin high school, a federal appeals court ruled on Tuesday. The student, Ashton Whitaker, who will graduate from Tremper High School in Kenosha this week, first asked to use the boys’ bathroom as a sophomore. That set off a nearly yearlong legal battle with the school district. In September, Judge Pamela Pepper of United States District Court granted Mr. Whitaker permission to use the boys’ bathroom at school, a ruling the school district appealed. On Tuesday, the second-to-last day of Mr. Whitaker’s senior year, the United States Court of Appeals for the Seventh Circuit affirmed that decision. Mr. Whitaker’s lawyer, Ilona Turner, said that while the ruling applies only to her client, it sets precedent that a federal law prohibiting gender discrimination in public schools protects transgender people. 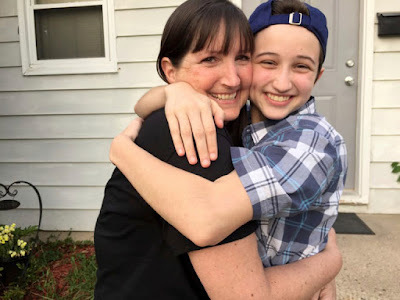 Continue reading the main story “This is just another building block on the large and growing number of courts to hold that discrimination against transgender people is illegal,” she said.